The ocean is dynamic and always in motion. 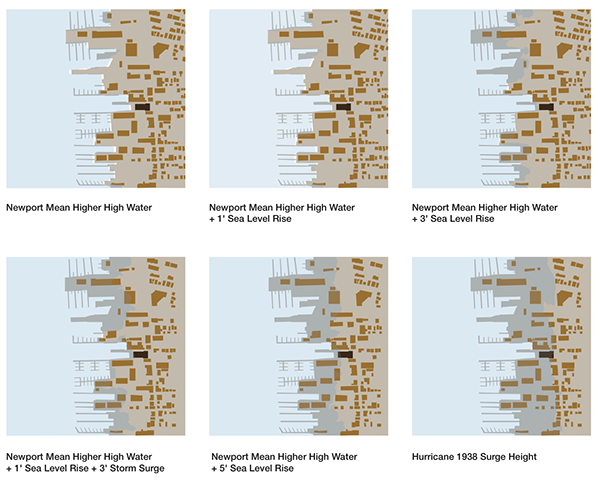 By contrast, architecture is static and is moored to a given site. 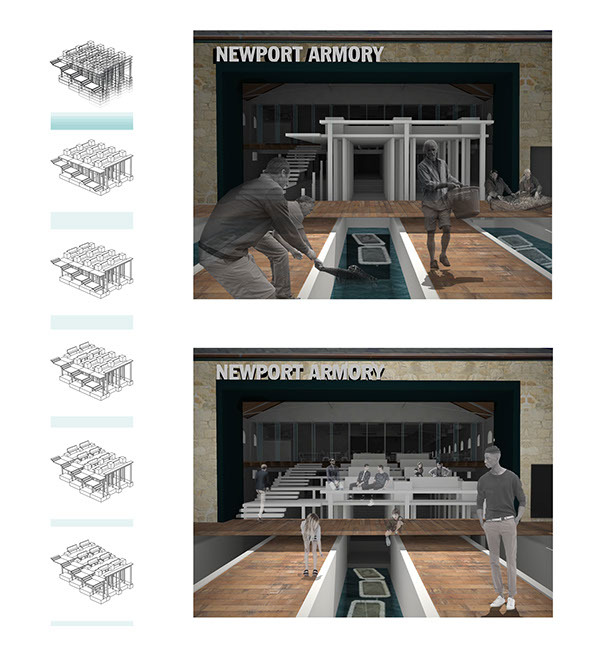 Architecture res-ponds to water by adjusting to a certain form to protect the inhabitants inside. Water responds to its container by changing its shape to the container’s form. 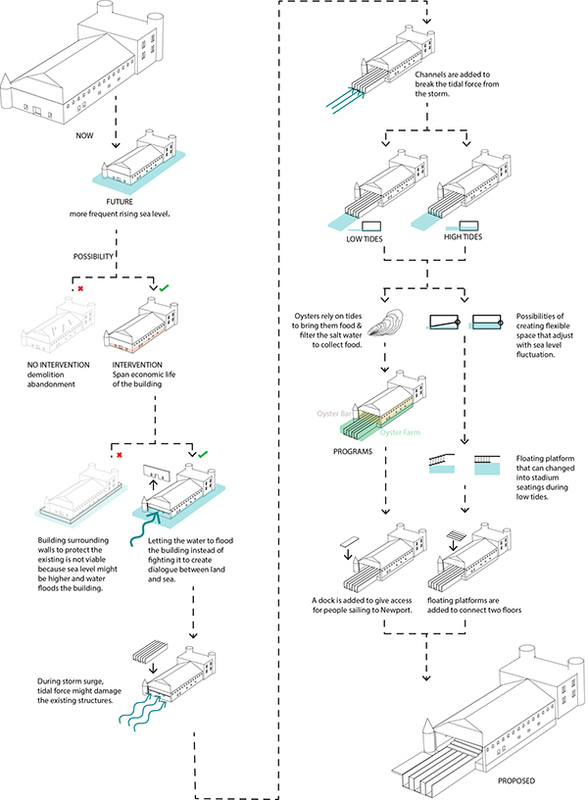 Does architecture shape water or does water shape architecture? In response to the site, I am interested in creating space and an experience that embodies the contradiction between protection and containment by manipulating built forms and the dynamic of water. 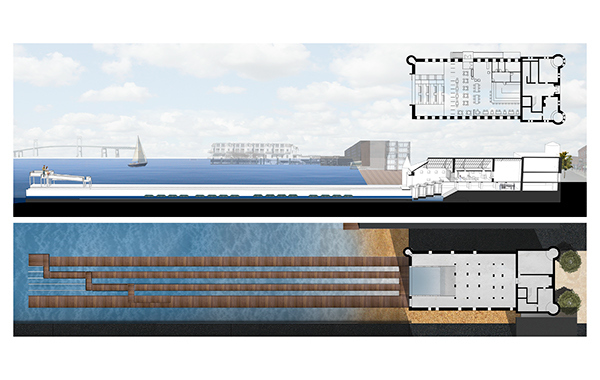 By bringing the tidal inside the building, the dialogue between sea and land create flexible spaces that adjust with the sea-level fluctuations. 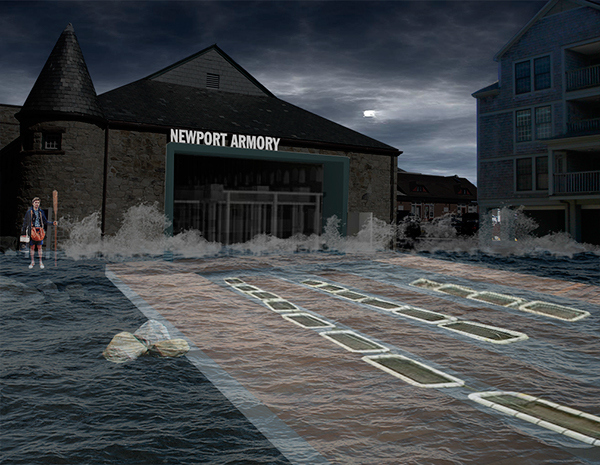 This containment will create protection from future storm surge damage by raising public awareness about the issue. Being located on the water, there is an opportunity in opening an oyster farm in Newport Armory as there are oyster farms around Narragansett Bay. Shellfishing and consumption of shellfish have been an important part of Rhode Island’s history. 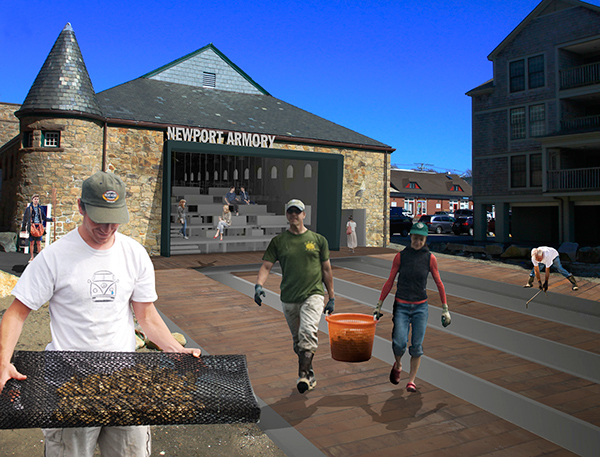 The programs for the Newport Armory Oyster Farm are a nursery and farm on the harbor level and an oyster market and restaurant on the street level. 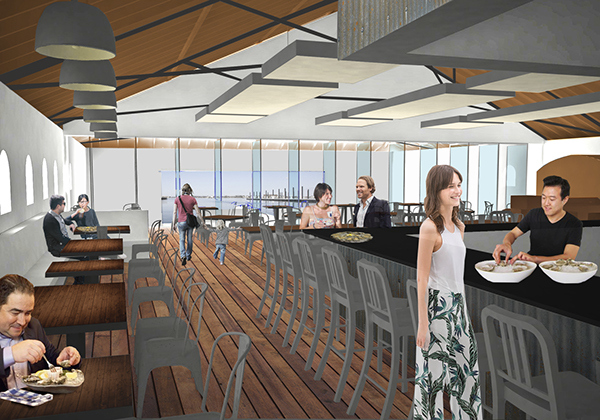 The proposed oyster farm will take advantage of sea water that penetrates into the building as well as tidal force to circulate the water.